Our farm is in the beautiful Norfolk village of Brooke in the east of England. With over 75 years of experience our family - the Spurgeons, have grown from strength to strength; not just as arable and livestock farmers but also as butchers. 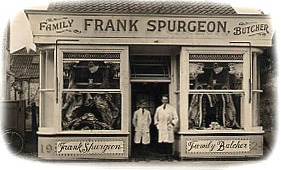 In the 1920s when horse drawn carts were still a common sight, our first butchers shop was opened by Mr. Frank Spurgeon in the Norfolk village of Harleston. Soon this business prospered, so much that in 1938 we opened a second shop on St Stephens Street in the Cathedral city of Norwich. It served the public for nearly 60 years until its closure in 1995. This paved the way for a new butcher’s shop in the popular ‘Golden Triangle’ district of the city, the same year. By 1989 the business continued to expand and we were pleased to open a farm shop in the welcoming village of Brooke in the Norfolk countryside. 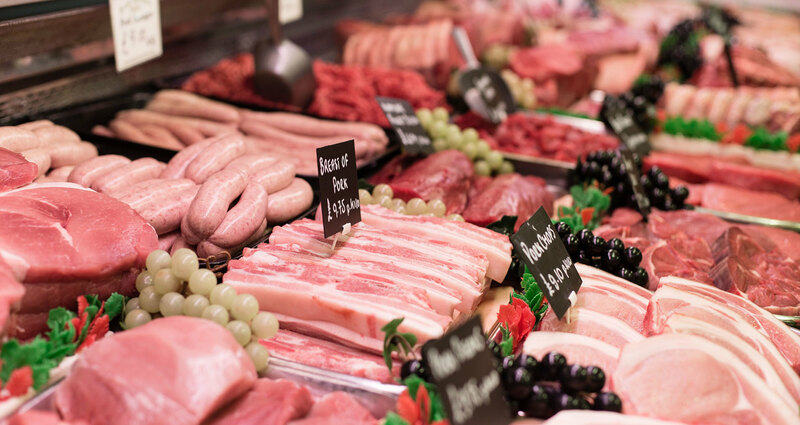 Our farm shop includes a butchers, bakery and delicatessen serving the local community and beyond. Back at the farm, Frank Spurgeon started the "Shotesham Herd" of Pedigree Jersey cows on 'D-Day' in 1944. By the mid 80's the Herd had risen to 120 head plus followers. Due to further expansion of the pig herds in 1995, the "Shotesham Herd" was sold. 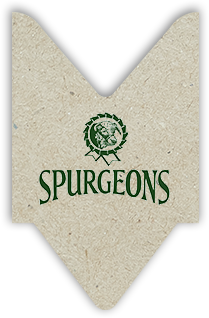 The Jerseys had been a major part of Spurgeon’s Farms for over 50 years; we were sad to lose them. Having fond memories of the cattle and being a strong part of the family history, our business logo still features the herd to this day. We continued to farm our 600 acres of land with 8,500 pigs until 2005. Our well-known ‘Famous Pork Sausage’, made from Frank Spurgeon’s original 85-year-old recipe is still handmade and available in all our butcher shops to this day. By the early 90s the farm shop at Brooke continued to develop and flourish. We saw the opportunity to convert the surrounding stable buildings into business outlets, currently occupied by a dog groomers, café, hairdressers, carers and solicitors. These services are enjoyed by the local community and with ample free parking, customers visit from further afield. In recent years despite scaling down our farming, we’ve used our experience and expertise to outsource high quality meat. To support local providers and keep our carbon footprint low, our meat comes from local farms in Norfolk and Suffolk. This meat is for sale in our butchers and used in the creation of our meat based products. For a warm and welcoming food shopping experience, pop into one of our shops where you’ll receive expert advice and the key ingredients to create the perfect meal.